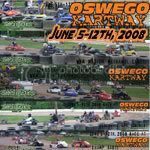 Galletta's Go-Karts and Speedway of Oswego, NY, USA - Dirt Stock 5 horsepower racing every June-October! Welcome! 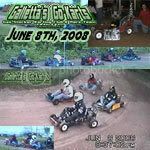 We are a Karting Club that races 1-Wheel-Drive Gas Flathead go-karts for a Points championship every summer at Galletta's Greenhouse Backyard Kartway since the early 1990s, and formerly a Gas Stocker division at Oswego Speedway's Kartway weekly between 2006-08. 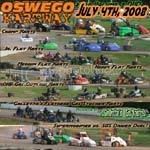 Please read on and learn more about our extremely affordable brand of highly competitive racing! 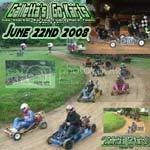 Founded by brothers Matt and Chris Stevens in the early 1990s, Team Galletta is a karting team sponsored by Galletta's Greenhouse of Oswego, NY. 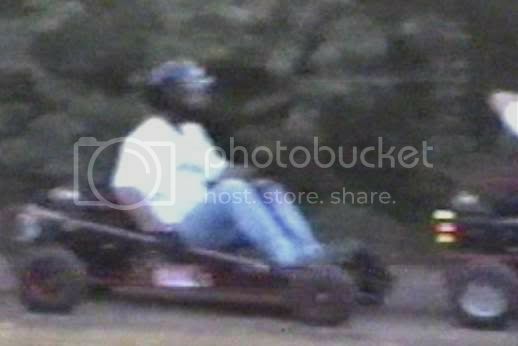 Matt, Chris, and their dad, Wesley have been racing karts since 1990 and are the inventors of "clockwise gas stocker kart" (racing-modified go-karts with stock, gas, flathead motors) racing in the local area. 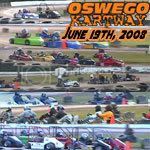 We have a 13-kart race team that includes several backup karts that are available to be raced at both Galletta's Greenhouse Kart Speedway all Summer and formerly at Oswego Speedway's Kartway until their belligerent track operator lost his feeble little mind. Sound like fun? Join us! This is an info page. News and updates are found on THIS page. Thank you! Through the 2000, 2001, 2002, 2003, 2004, 2005, 2006, 2007, 2008 and 2009 seasons (up to 11/8/2009). 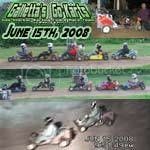 All karts are Galletta-type 5hp Flathead Gas Stockers unless otherwise noted. Some are unauthorized/un-inspected 5.5hp-.6.5hp+ OHV; noted in red/italics.